This article lists the monarchs (Ngwenyamas) of Eswatini (known as Swaziland for most of its history). The King of Eswatini (also known as Ingwenyama) rules alongside the Queen Mother (also known as Ndlovukati). The role of the king has historically been as the head or father of the nation while the Queen Mother is the spiritual leader of the nation. Royal Standard of Mswati III. ^ Kuper, Hilda (1980). An African Aristocracy: Rank Among the Swazi. Africana Pub. ISBN 0841905819. Queen Mother Ntfombi, Ndlovukati of Eswatini is the current Ndlovukati and joint head of state of Eswatini, serving since 1986. She was also regent of Eswatini from 1983 to 1986. She is the mother of King Mswati III. Ndlovukati is the Siswati title for the female head of state of Eswatini and is roughly equivalent to a Queen Mother or Senior Queen in other countries. The title is given preferentially to the mother of the reigning King, or to another female royal of high status if the King's mother has died. Indlovukati rules alongside the Ngwenyama, and when there is no King, she rules as a Queen Regent. The current Ndlovukati is Queen Ntombi Tfwala, the mother of Ngwenyama Mswati III and wife of Sobhuza II. She has also been Queen Regent from 1983 until 1986 when Mswati became King. The most notable Queen Regent was Ndlovukati Labotsibeni Mdluli who ruled Swaziland from 1899 until 1921 when she abdicated for Sobhuza II. 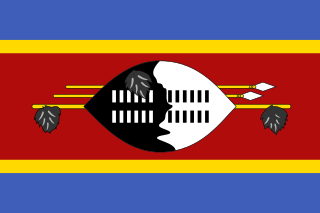 The House of Dlamini is the royal house of the Kingdom of Eswatini. Mswati III, as king and Ngwenyama of Swaziland, is the current head of the house of Dlamini. Swazi kings up to the present day are referred to as Ingwenyama and they rule together with the Queen Mother who is called Indlovukati. The Swazi kings, like other Nguni nations, practice polygamy and thus have many wives and children. Tsandzile Dlamini is a princess of Swaziland who currently serves as Minister of Home Affairs.